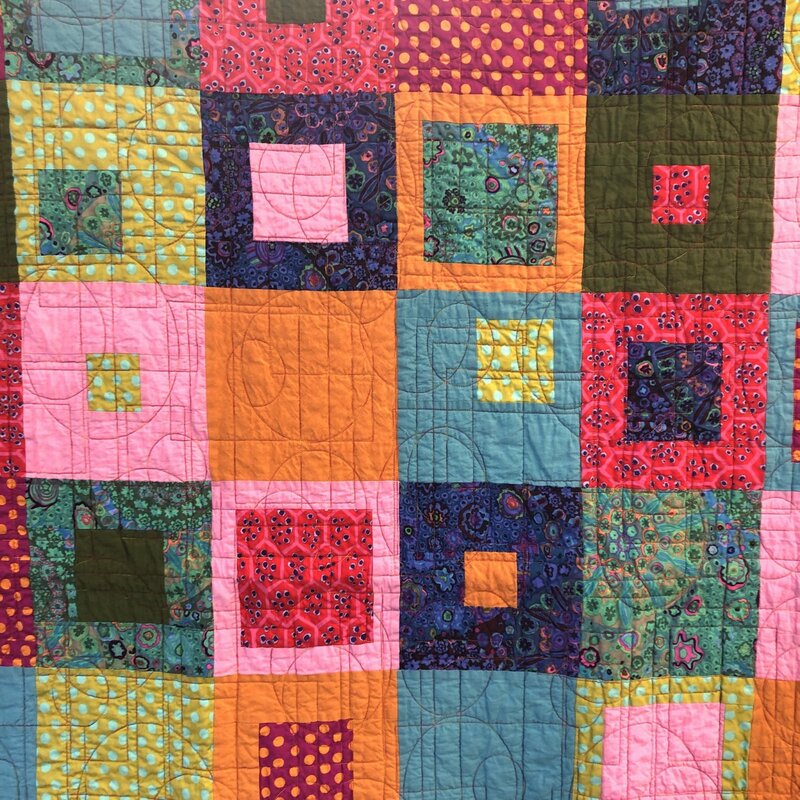 Learn the basics of quilting while making an actual quilt to snuggle in when you are done with class! We will meet 5 separate times for class with homework in between. There will be plenty of time for questions and practice, and when class is over, you will have a beautiful quilt that you made yourself. Learn the basics of selecting fabric, prep and cutting of fabric, necessary tools, best practices for seams and pressing, choosing thread and batting, layering and quilting your quilt, binding, and labeling. We can't wait to see what you make! Materials Included: Materials not included. Requirements: We will select materials during class, so you do not need to come in ahead of time for that.